The analysis was included as part of a comprehensive report on religious freedom around the world in 2013. The report cited a flood of examples of governments and militant groups cracking down on religious minorities, everywhere from Pakistan to Egypt to China. The victims included Christians, but also Hindus, Muslims and others. The report offered a pointed warning about religious violence in the three-year-old civil war in Syria. 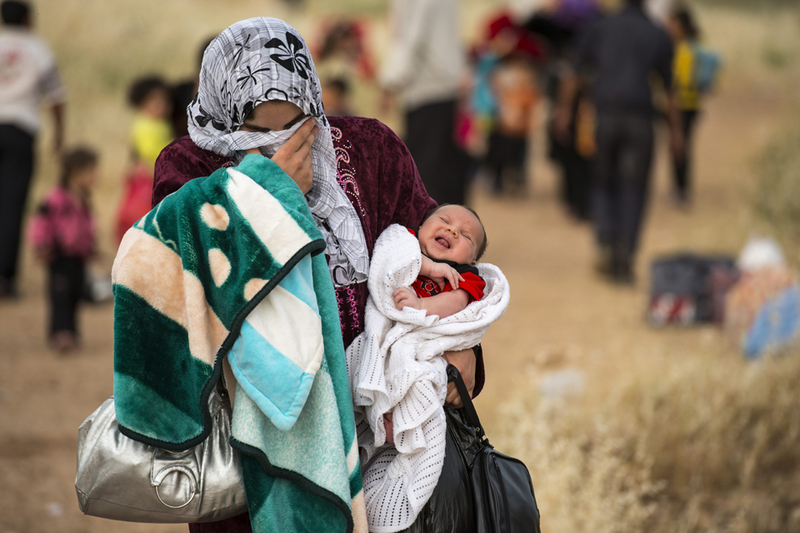 "After three years of civil war, hundreds of thousands fled the country desperate to escape the ongoing violence perpetrated by the government and extremist groups alike," the report said. It said that in Homs, the Christian population has plummeted from 160,000 before the conflict to "as few as 1,000." Further, it said in conflict zones, mass displacement has become the "pernicious norm." The report also highlighted more than one million people being displaced in the Central African Republic during 2013, amid an upsurge in Christian-Muslim violence. Christians aren't the only minorities facing persecution. In Southeast Asia, anti-Muslim violence spread from Burma's volatile west to central Meikhtila, with up to 100 deaths and 12,000 displaced. According to the report, Shia Muslims in Saudi Arabia face "discrimination and prejudice." 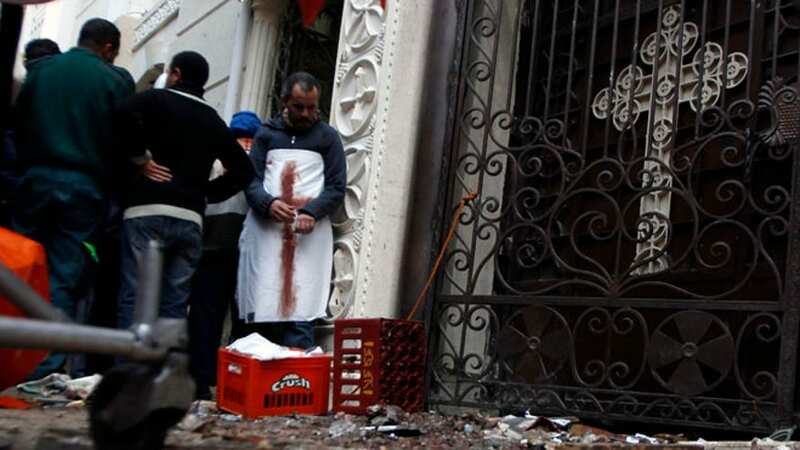 And Shia Muslims, as well as Christians, face violence in Egypt. "In Iran, officials threatened, detained and harassed members of almost all non-Shia religious groups," the report said. Secretary of State John Kerry called the displacement of families and devastation of communities from sectarian violence a troubling trend in the world. Kerry further cited the "savagery and incredible brutality" by the Al Qaeda-inspired militant group active in Iraq and Syria, known as the Islamic State, saying it had slaughtered Shiite Muslims and forcibly converted Christians under threat of death. Kerry said 75 percent of the world's people lives in countries that don't respect religious freedom. He said North Korea's authoritarian government stood out for its "brutal repression" of religious activities, with people from religious minorities isolated in political prison camps and individuals reportedly arrested for just carrying a Bible. The U.S. added Turkmenistan to its list of "countries of particular concern" which can face U.S. sanctions. Kerry said people in that Central Asian country have been detained, beaten and tortured because of their religious beliefs, and prohibited from wearing religious attire in public places. Countries already on the list are Burma, China, Eritrea, Iran, North Korea, Sudan, Saudi Arabia and Uzbekistan. The report also drew attention to anti-Semitism throughout Europe, describing it as "a fact of life" on Internet fora and in soccer stadiums, and leading many Jews to conceal their religious identity. On Monday, President Obama nominated Rabbi David Nathan Saperstein as ambassador at large for international religious freedom. He is an adjunct professor at Washington's Georgetown University and director of the Religious Action Center of Reform Judaism, an advocacy group active on civil rights issues.